Testing out a new lipstick everyday, typically a liquid lipstick, can certainly take a toll on your lips. Think the desert when the sun is at it’s hottest and the earth just starts to crack and crumble from the dry heat. Yeah that’s what my lips look like at the end of the day. It isn’t pretty! So I’m always on the hunt for the perfect exfoliator. I want something that is gentle on the lips, but still gets rid of all that gross stuff without too much effort. 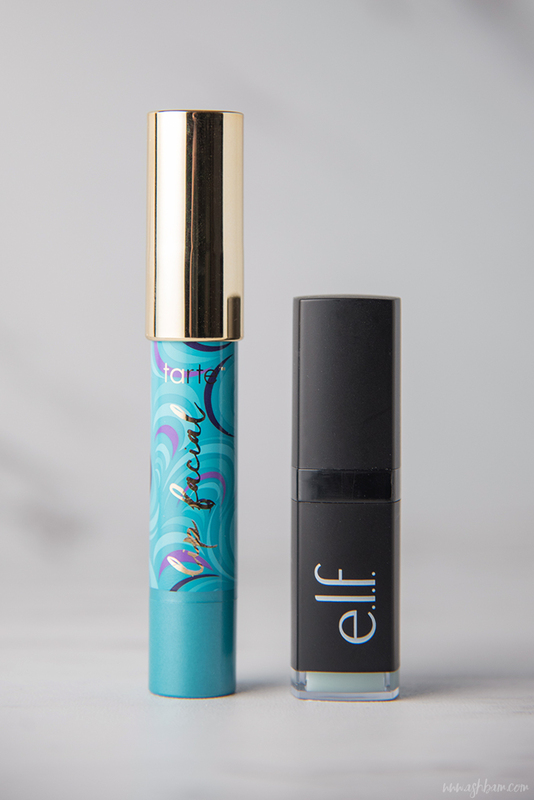 In an ideal world they would all come packaged in lipstick style tubes, instead of having to use your fingers to apply it, and that’s what attracted me to both the Tarte Cosmetics Lip Facial Lip Scrub and the e.l.f Lip Exfoliator. I picked up the Tarte Lip Facial recently at Sephora for $16 and it contains 0.10oz. It’s described as a hypoallergenic, twist-up lip scrub to resurface, condition and protect lips without the mess. To use it they suggest applying it directly onto clean lips, then massaging it into your lips with your fingers before removing it with a damp cloth. First of all I love the packaging, the blue and gold really stand out from the rest of my skincare products and it’s just lovely to have displayed. I’m not the biggest fan of the texture on my fingers, it left a strange film on the skin. Also I wouldn’t say it’s “without the mess” seeing as they suggest you use your fingers, which for me defeats the purpose of having it in a tube. The scrub itself was pretty fragile and had I not been careful I think it could have broken off. After one use, the pointed end was gone and it was flat against the tube. It melted quite a bit with every use and got rather messy. I preferred to use it in the evening, rather than the morning, the texture it left on the lips was a little too sticky and lipstick didn’t go on as nicely over it. However it did feel very moisturizing and while I obviously don’t suggest eating it, it tasted great if you accidentally got some in your mouth. The e.l.f Lip Exfoliator, which I ordered from Ulta, comes in smaller packaging, but actually contains more product, 0.16oz and it’s only $3! They describe it as a sweet sugar and smoothing sensation, infused with Vitamin E, Shea Butter, Avocado, Grape and Jojoba Oils to nourish and protect. 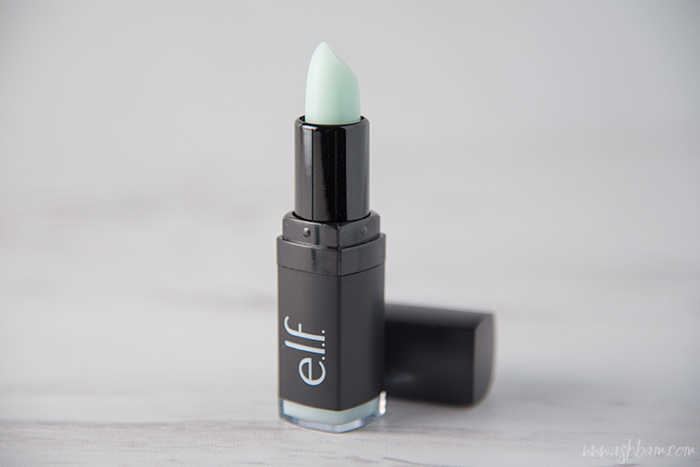 It treats and smoothes lips for a conditioned and revitalized feel. It comes in 6 different flavors: Mint Maniac, Pink Grapefruit, Coconut, Sweet Cherry, Rose and the original in Clear. To use this one they suggest gently rubbing the tube on your lips in circular motions and then removing it with a cotton pad. Starting out it took quite a few swipes across the lips to get it to do any exfoliating. Every now and then it will smooth over again, so I just have to scrape off the top layer. It didn’t feel as moisturizing as the Lip Facial, but it didn’t dry out my lips either. I would still suggest using a lip balm after though. It’s pretty fragile as well, out of the three I’ve owned I’ve managed to break two of them, but luckily with this packaging it’s easy to still use it even though it’s broken. Whether it’s the morning or evening, this one does a great job at prepping my lips and I find my lipstick goes on beautifully and looks so much better after I use it. 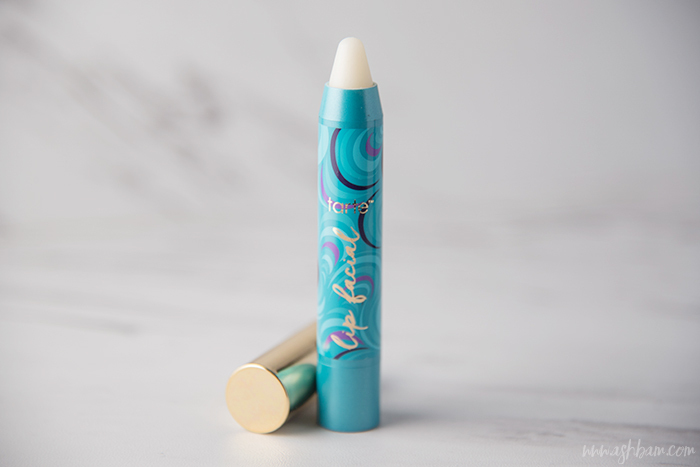 While I do think Tarte’s Lip Facial is more moisturizing and visually appealing, it was just too messy for me and honestly too expensive for what it is. 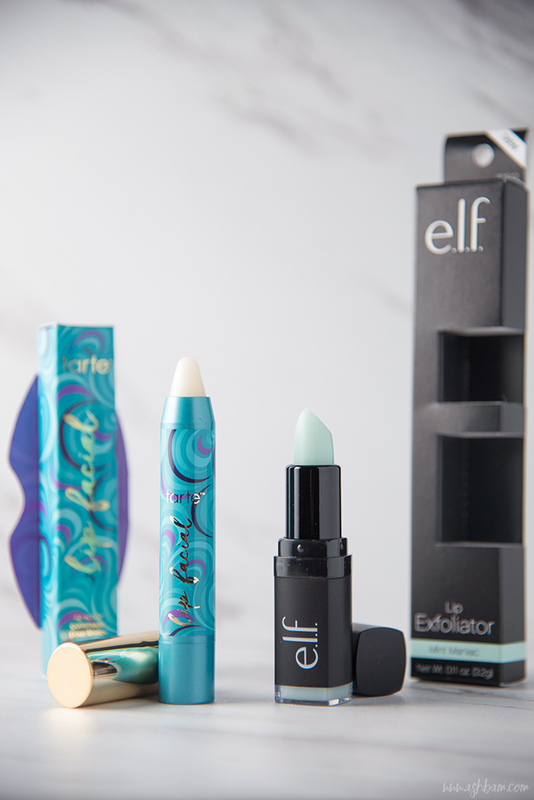 For $13 less the e.l.f Lip Exfoliator is a really great option and I find myself reaching for it everyday. It comes in multiple flavors, so there’s something for everyone and it just leaves your lips in great condition! So what is your favorite lip scrub, let me know in the comments!